This month, only hardware mixes are allowed! Submissions will be taken from September 1st to September 14th, send your complete entries with all requirements as stated in the guidelines to contest@afterhours.fm ! The winning set will be played on October 1st at 15:00 CET! "In my experience, there’s no such thing as luck"
"The Force is what gives a Jedi his power. It's an energy field created by all living things. It surrounds us and penetrates us. It binds the galaxy together. " I have now 1 CDJ 400, I'm still waiting for the second and for my Numark DXM06. 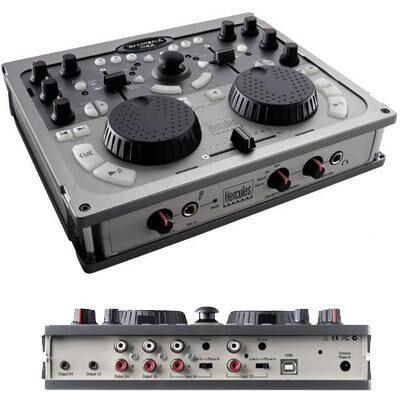 By the way, I have that -> and so I mix with that mixer and VDJ to select the tunes... I don't really use features of VDJ like master tempo (it's not really accurate at all). Is it considered Hardware ? do you use vdj to adjust the bpm/pitch (ie the "sync" button)? well, i reckon it's not much different than mixing with real hardware then, but still i'm afraid we can't make any exceptions, out of fairness against others. already sent, how many sets we have till now??? wow really only two sets submitted?